As we look to get ahead in our career, we must now learn to treat ourselves as a product that is desired by companies. We must pitch and sell our knowledge, skills and abilities. Creatives often think their work will sell itself. But nothing sells itself. Doing your job well isn't going to get you anywhere if no one is aware of your accomplishments. It's important for us, designers/developers, to learn the proper ways to sell ourselves not only to prospective employers, but current bosses as well. Us web geeks are part nerd, part artist - and in many cases, totally missed out on the self-promotion gene. As an independent, half our job is marketing ourselves, our product, and our services. But self-marketing doesn't have to be expensive, spammy, or dreadful - it can be done artfully and without compromising your values or comfort zone. You have the power to expand your audience larger and faster. We're consultants offering a service that helps others. Geeks are in the service industry - we build products and offer services that make people's lives easier, and marketing our skills to the right people the right way is helping them. Buddy Up! Get another web designer as your buddy. You can work together, give each other work and help each other out. It's a win win situation. 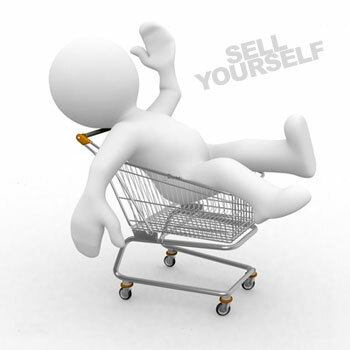 "Self-marketing is self selling! You need to be the best product available." "Self-marketing is ALWAYS positive. It gets your name out there. When people can attach a positive asset to your name, you're doing the right thing. Sometimes you may have to do things for free, but it will have a positive impact on your future." "Get out into the working world as soon as possible. As small as the project may be, experience nonetheless. You never know who's going to offer you an opportunity."